Looking for a Certified pre owned Honda San Antonio? 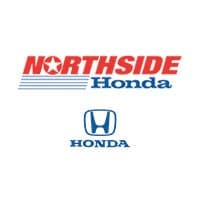 Welcome to the new Northside Honda, formerly Benson Honda and Fiesta Honda. We are now locally owned and managed, and dedicated to providing San Antonio with quality, reliable Honda pre owned vehicles. This isn't just any other certified program, this is a Honda Certified pre-owned vehicle. To be Honda Certified, vehicles must meet the most stingent qualifications, backed by a lengthy warranty. The Honda vehicle inspections is a comprehensive 182-point inspection, and only vehicles under six years old are considered. Call us now for all of the details on the Honda Certified Pre Owned program today.